One of the most attractive things about Dropbox is the number and variety of third-party apps that integrate with it to expand its capabilities. Here are five of our favorites. If your Dropbox can get you nominated for an episode of “Hoarders,” it’s time to pull in Sort My Box. This set-it-and-forget it web app organizes your files according to rules you define. You just log in to the Sort My Box site and set and save your sorting rules. SortMyBox places a folder inside your Dropbox and scans it every 15 minutes, arranging its contents to your specifications. 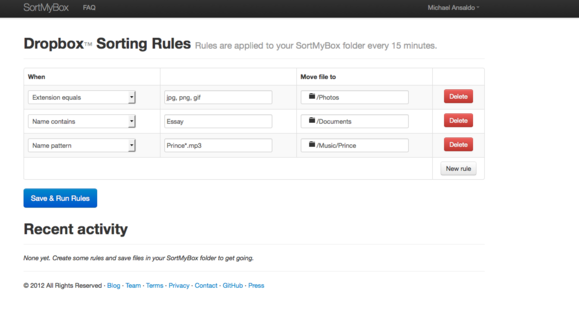 SortMyBox is like having a personal organizer for your files. Data breaches have become an unfortunate fact of life, and cloud storage services like Dropbox are not immune. Safe Monk is a free security solution that's as simple as Dropbox itself: It adds a folder to your Dropbox and automatically encrypts any files placed in it. Those files are shareable through the Dropbox interface, and you can access them remotely with SafeMonk’s mobile apps. There’s also a business edition ($79 user/year) with expanded encryption options and management tools. As popular as Dropbox is, not everyone uses it. When you need to get files from one of those folks, Airdropper is a lifesaver. Once you’ve connected this utility to your Dropbox account, you fill out Airdropper’s request form with a description of the files you need and the email addresses of the people who have those files. Airdropper then sends all recipients a secure upload link. The uploaded files are deposited in a “Airdropper” subfolder within your Dropbox. Dictate notes, ideas, and memos directly to your Dropbox with DropVox. This $2 universal app does one thing, but it does it very well. 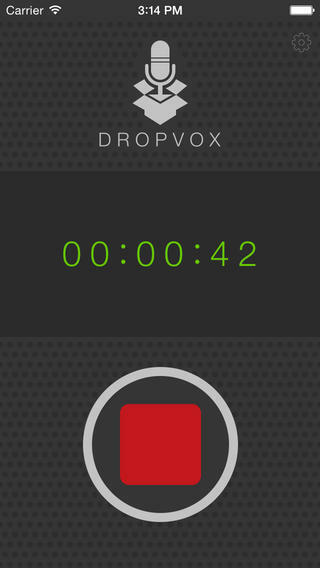 DropVox lets you record voice memos and uploads them to your Dropbox. Next time you're collaborating on a project, dictate your notes, ideas, or other info into this one-tap app, then email the Dropbox link to your colleagues. If you’re a fan of IFTTT, check out Wappwolf Automator for Dropbox. Like IFTTT, this service triggers actions in your Dropbox based on the types of files and what Dropbox folders they’re added to. You can have it convert documents to PDF, upload them to Google Drive, or send them to your Kindle, for example. Images can be uploaded to Facebook, Flickr, or Picasa; downscaled; converted to another format, and more. There are some usage restrictions on free accounts, but Wappwolf offers a couple of subscription options and a one-week premium account that have more flexibility.